Have you ever wondered whether the Old Masters, whose drawings, painting, prints, and statues fill space in world-class museums, had drawing skills that far exceed those of today’s artists? Or do you suspect that those Old Masters might have used technology to improve their techniques, the result of which increased their productivity, popularity, and profit? We admire (and some “worship”) many Old Masters for their realistic images. 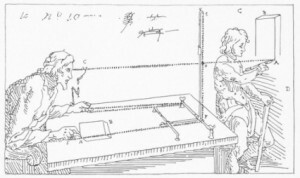 With that in mind, did the modern art movement during the late 1800s and early 1900s reject what seems to us today to be the super-human drafting skills of their peers, or did they simply reject the use of tools (optics and mechanical devices) related to pictorial development in favor of freehand drawing? To help answer these questions, read Secret Knowledge: Rediscovering the lost techniques of the old masters, a truly eye opening and entertaining book by David Hockney, a highly regarded English artist. In 1999, Hockney set out to determine whether the Old Masters were truly masters at freehand drawing, or used technology to help create realistic images. If technology was used, what was it and how was it deployed? To accomplish his research, Hockney pinned large prints of masterpieces side-by-side on a giant wall, in date order. These prints were based on paintings from around the year 1300, ending in the early 1900s. By observing the paintings side-by-side, he determined that the realistic quality of paintings changed radically in the early 1400s, spreading quickly from then on. He believed that this sudden change was related to the emerging use of technology (optics and lenses) that allowed artists to better see subject details and to mark keylines (traces) of what they saw on paper and/or canvas. The resulting 12″ x 9.5″ book lets you compare these great works of art with Hockney’s observations, an enlightening process! By doing this, you’ll better understand the nature of image production, although a few of you might be disappointed that the Old Masters didn’t possess super-human talents. Optical technology, such as the Camera Lucida discussed by Hockney, was not the only technology used image production. 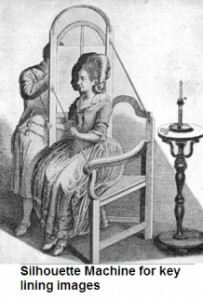 Historically, other devices were available to help sharpen viewing, interpreting, and measuring, such as shown by the prints in this article. Image copying (in some cases called “forgery”) is not confined to crooks! 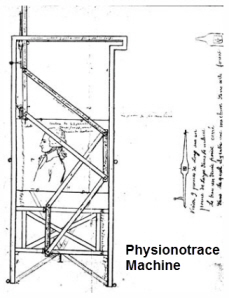 Pantographs (see below) were and still are widely used to copy images from one surface to another. How did artists expand small drawings? One point on the Pantograph traces the keylines on the original image, and another, which is a significant distance away from the first, replicates those keylines on a different surface. 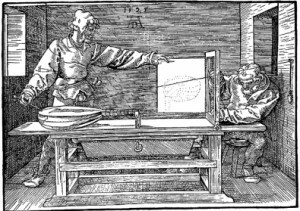 The mystery of today’s art appreciation is why mysteries related to image creation techniques persist. One possible answer is that mystery is known to kick up the price of objets d’art, which, of course, is what drives the art market. Rediscovering the lost techniques of the old masters, by David Hockney. First published in 2001 and revised in 2006, new books are available at www.BN.com and www.Amazon.com for between $26 and $30. Before you buy, however, do a thorough search because sometimes those sites show exceptionally high-priced used editions first. Karen publishes www.LetsKickScoot.com and the moribund www.Littleviews.com. In one of her many past lives, she founded and ran Office Technology Academy (Milwaukee, WI), which helped highly-intelligent-but-low-income people obtain computer skills and jobs. She also founded Clear Concepts, a technical documentation company, and published a number of books and manuals. She’s now actively doing other things.